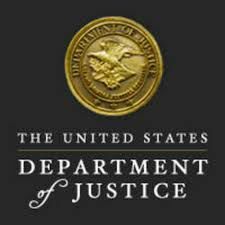 McALLEN — The Department of Justice announced Wednesday the addition of 35 new assistant U.S. attorneys to offices along the U.S.-Mexico border. But it remains unclear where the 35 new prosecutors will be assigned within the five border districts, which include the Southern District of Texas, the Southern District of California, the Western District of Texas, the District of Arizona and the District of New Mexico. The announcement did specify that eight of the new prosecutors will go to the Southern District of California, which has three courthouses; seven will go to the Western District of Texas, which has nine courthouses; and seven prosecutors each will be assigned to the Arizona and New Mexico districts, which have four and three courthouses, respectively. The Southern District of Texas, which will be allotted eight prosecutors, has seven courthouses — McAllen, Brownsville, Laredo, Corpus Christi, Victoria, Galveston and Houston — but where the new attorneys will be placed remains undetermined. Approximately 14 prosecutors are currently working cases in the McAllen federal courthouse, according to multiple officials who spoke to The Monitor on the condition of anonymity as they are not permitted to speak publicly on personnel matters. The Monitor reached out to Angela Dodge, the public affairs spokeswoman for the Southern District of Texas, U.S. Attorney’s Office, who said that as of Thursday her office did not know how many of the prosecutors would be placed within the district. Eloy (Ariz.) Immigration Court; Florence (Ariz.) Immigration Court; Adelanto (Calif.) Immigration Court; Imperial (Calif.) Immigration Court; Otay Mesa (Calif.) Immigration Court; Otero (N.M.) Immigration Court; El Paso (Texas) Service Processing Center; Harlingen (Texas) Immigration Court; Pearsall (Texas) Immigration Court; and Port Isabel (Texas) Immigration Court. An official with knowledge of DOJ’s plans with regard to immigration judges but prohibited from commenting publicly said Thursday that the DOJ and the EOIR continue to evaluate the situation “at the border” to best determine where the judges will be allocated. The official said some judges will likely be hearing cases in multiple courts utilizing video teleconferencing in addition to in-person hearings. Texas has 9 immigration courts, including two in the Rio Grande Valley located in Harlingen and Port Isabel, according to the EOIR website. Sessions, citing a Department of Homeland Security report showing a spike in illegal border crossings in March, implored prosecutors working along the U.S.-Mexico border to have a “zero-tolerance policy” with regard to immigration cases. This story was updated to include the correct number of immigration courts in the state.